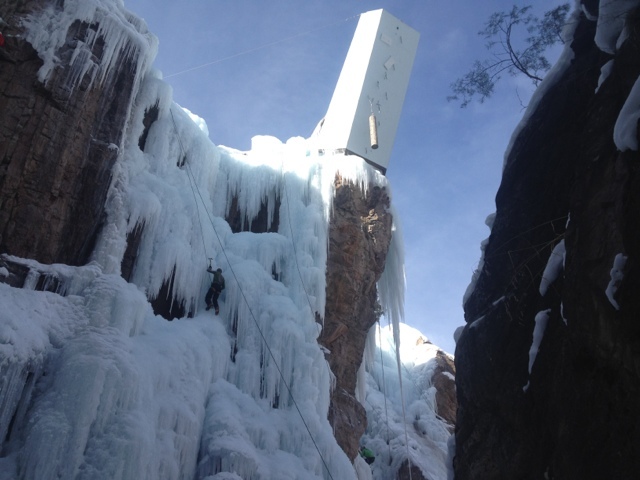 Marianne - Climbing and More: Ouray Ice Fest 1. Still totally jetlagged but super excited with all this ice around me. Three days ago I arrived in Ouray with Colin (of the Alpine Mentor Programme). He was so kind to even pick me up from the airport. They dropped me at Stevens place and even he was still awake to greet me. Although I still pretty tired because of the time difference, I had the chance to climb quite a bit. One easy ice/speed climbing day and one hard M10 (os!) drytool day. And in the background the comp wall.